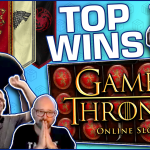 February is almost at a close, but before the month ends we have one more compilation for the Big Wins segment. Today we bring a large variety of slot machines, as well as, table game wins. 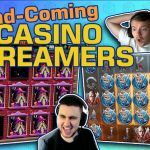 Moreover we have well known casino streamers and some new faces. Thus, let’s get to it and check all of them. Shall we start with some book action? More specific with a Book of Ra bonus round from Slotspinner. The German was having a party stream with a number of guests. These events are great to watch, especially if the slots pay. LeoVegas is an online casino where you can play the book, along with all other Novomatic slots. On the other hand Book of Dead also paid big last week. Here the lucky player was Huneasd, as he got a free spin round with a 870x the stake payout. One of the best slot machines released this year is Wild Falls from Play’N Go. Moreover, the aptitudes of this game becomes evident on the multiplier bonus round. Now we admit that it is extremely difficult to trigger this particular feature. However when you do, like Casinoland did last week, then the potential for mega wins are huge. 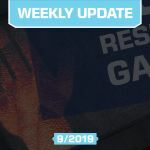 Talking about Play’N Go, we also have a big win on Reactoonz from Apppehehe. Here, the lucky Fin got good old Garga for a 792x the stake hit. Both Wild Falls and Reactoonz are available on Maria Casino, so give them a try and tell us which is your favorite. Now we jump to two slot machines which we do not see very often on our compilations. First we have Spinal Tap that is slowly becoming one of Letsgiveitaspin’s favorite slots. In our opinion there are plenty of better bonus buy slots out there. However judging by the frequent wins Spinal Tap is giving Kim, we understand his love for the game. Another slot which is rarely featured is Lucky Little Gods from Microgaming. Not many streamer play this game, but Craig gave it a try last week. This was a great decision which resulted on a big 475x the stake win for the lucky Brit. Lastly we check the two biggest wins of the week. 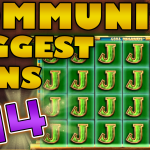 The second place goes to Nickslots who makes sure we continue to feature Jammin Jars on our compilations. The game has set a record for the most, continuously, featured slot on our big win compilations. Now as for the biggest win of them all, that prize belongs to Dmcjordan. It was a while since the last time this slot streamer was part of our compilations. However he is back with a vengeance thanks to ELK’s latest casino game. It is called Ecuador Gold and is arguably the best ELK slot ever made. Try the slot out on MrGreen and do not forget to share with us your big wins. 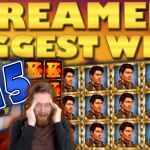 Tell us which win on Casino Streamers Biggest Wins – Week 8 of 2019 was your favorite. Moreover, share your thoughts in the comments. 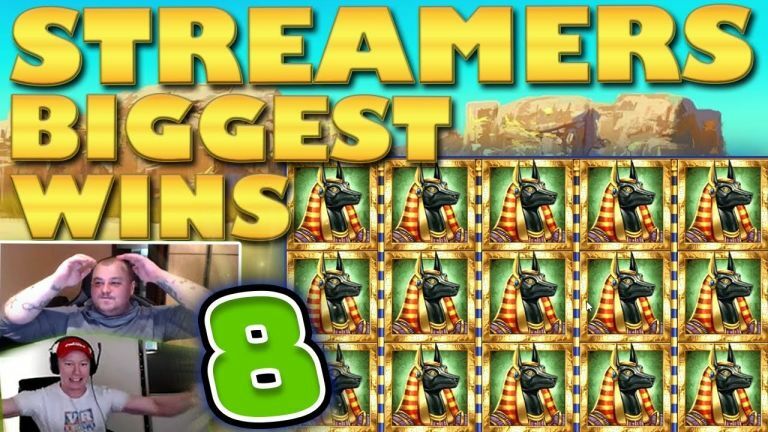 Also, make sure to check our other videos on CasinoGround’s YouTube channel.